Private dining offers the best of both worlds; an intimate, secluded dining location for your party or event, and top-quality service and food cooked to perfection. At The Grubstreet Author, we have three fantastic venue spaces in a sleek, contemporary location right in the heart of London that marries historical tradition and heritage with a modern twist. 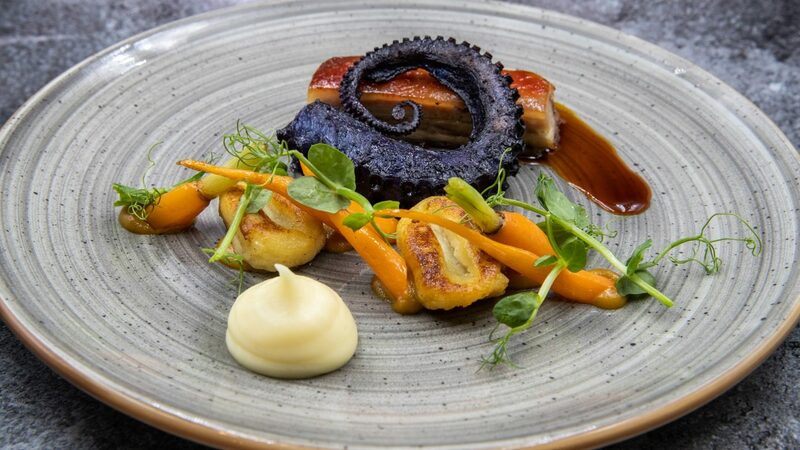 Our award-winning contemporary cuisine is perfect for your private dining event, and a choice of event spaces will make your day or evening feel truly exclusive. If your event requires a banqueting hall for your guests, say an intimate wedding, a conference or a birthday celebration, choosing the right one can make all the difference. You’ll need to make sure it complements your event and supports everything you want to include. A venue like The Grubstreet Author, can provide everything you need and more – tailored lighting, expert catering using seasonal ingredients by highly-regarded chefs, and fantastic audio-visual effects (DAD PA systems, LED lighting and electronic signage). All this in a gorgeous historical event space that can be customised to your specifications. The first of our event spaces, The Pasteur Room, is a distinguished space for dining with stunning features, such as the tin ceiling tiles, statement floor and burnt iron chandelier. The Sample Room has a refined ambience and character in abundance, and can be used on its own for standalone receptions or with The Pasteur Room to create a separate arrival drinks and/or after party area. The Cutting Room is ideal for small awards receptions with space for standing catering or, in true cinema style, usherettes can deliver food to the auditorium.